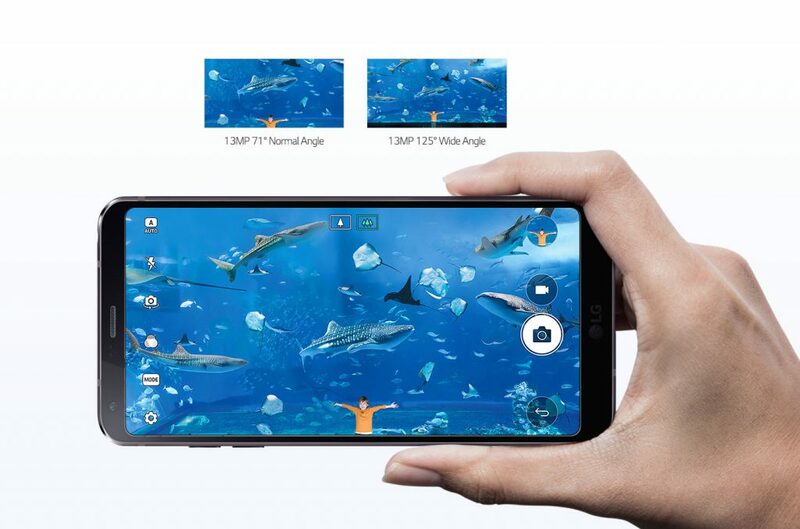 A new version of LG’s top line phone LG G6 has been released. The new LG G6 Plus offers a few new features compared to the predecessor and comes in several new colours. However, its size is neither larger nor does it boast more powerful hardware despite being named a “Plus” version. The new phone is equipped with 128 GB storage. LG G6 Plus supports wireless charging. The main point of distinction is probably its advanced audio capabilities. The phone comes with a pair of premium earphones from Bang & Olufsen that utilise the digital sound converter Quad DAC. The version of LG G6 released in South-Korea also contained the earphones, but they never reached New Zealand shores. Hopefully, Kiwis will get a chance to enjoy G6 Plus’ sound when the phone is released in New Zealand. warn users when a finger or hand covers one of the camera lenses. reduced the power consumption in stand-by mode. facial recognition software called Face Print that enables users to unlock the phone by holding the phone in front of their faces. Hence, there’s no need to press a button in order to unlock the phone. automatic voice recording for contacts in the address book. LG G6+ is available in terra gold and marine blue colours. We expect LG G6 Plus to have a retail price slightly higher than G6. This means that we foresee a price of about $1,230 at launch. LG hasn’t communicated a released date for the NZ market yet. It will go on sale in July in South-Korea.